AGEOFF® Serum contains a precise concentration of amino acid peptides suspended in hyaluronic acid and fortified with certified organic plant nutrients. 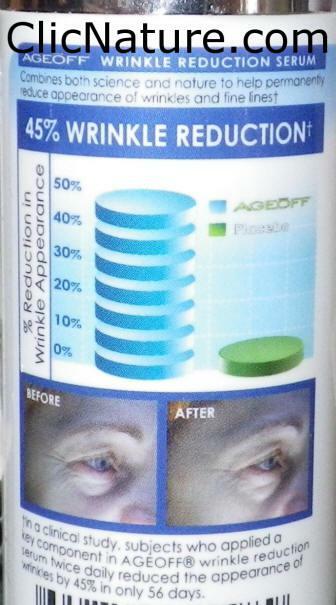 Clinically proven to help reduce wrinkle appearance by 45% in 56-Days. 2) Phenoxyethanol-free - Uses an ALL-NATURAL proprietary cellulose derivative3) Alterations in peptide concentration and ratios have been improved to lead to more pronounced tightening effect. 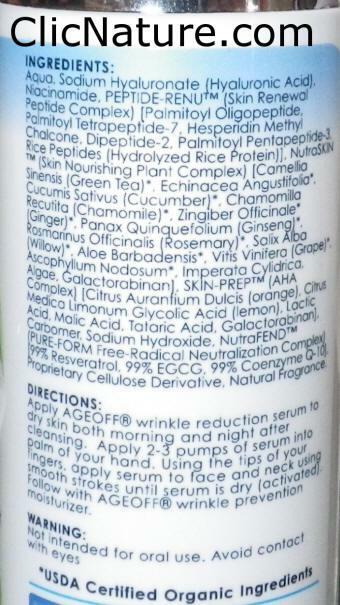 5) Maximum percentage of Reduced molecular size hyaluronic acid - Highest percentage technically possible.